We spent 4 days in Sarawak followed by 10 days in Sabah. Learnt how to use a blowpipe with the Iban Indians. Damai beach (got a room upgrade for no apparent reason - it was so big we spent quite a while sliding across the floor in our socks) was a great place with fantastic electrical storms. 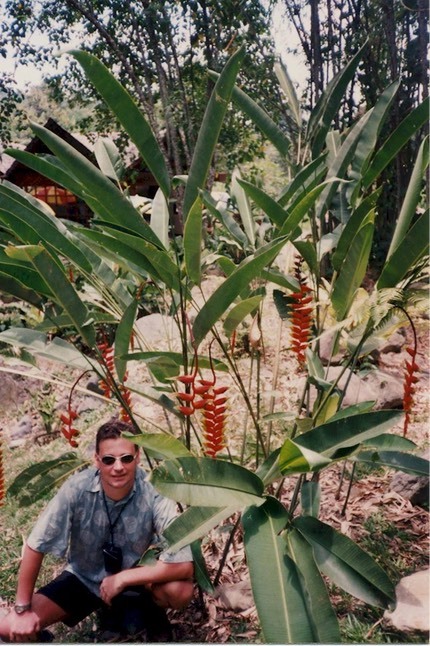 In Sabah we were based nr. Kota Kinabalu. Poring hot springs are well worth a visit. We stayed overnight on Mt. Kinabalu and went to the Poring springs the next day. The best swimming is on some offshore islands, but most of the coral is dead and the monkeys are a nuisance. We saw some monkeys steal a pack of cards and a packet of cigarettes from a French couple, and could just imagine the troupe up a tree playing poker. I also got stung by a jellyfish and Jonna nearly got struck by lightning as we were evacuated from one of the islands during a tropical storm. Still we were able to show some British stiff upper lip whilst all around us Italians and Taiwanese blubbered. Bird watching was really hard. We met some truly ghastly English people who were patronising to the locals (after very severe tropical storm - 'perhaps they haven't mended their roof because they are too poor to buy a hammer') . I was so ashamed that when they asked me to take a photo of them I pretended to be Danish. This all went swimmingly until, later that day we were all asked our nationalities by a guide in the national park, and the first people he asked really were Danish. I had to come clean, and say English, which got us some really funny stares from the English couple. This is where we boarded our long boat for the upriver journey to the Iban village. The long boats are very narrow and don't balance well but those years of rowing paid off for Jonna & I as we balanced the boat with our arses. Here's a picture of the local plant-life. Draw your own conclusion. There are some nice walks in the jungle although any pictures just look like Epping Forest. 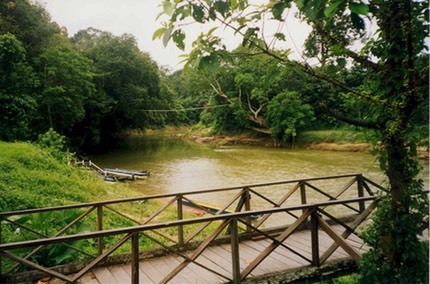 An aerial walkway has also been built allowing you to walk on a rope-bridge at tree top height. 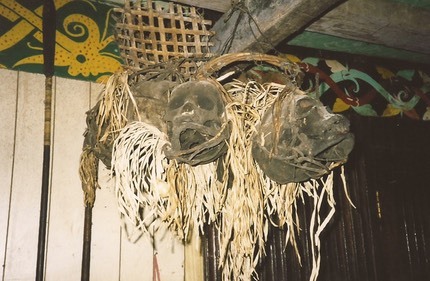 In the headhunters long house we were shown the skulls that had been previously collected, and we met a guy who had done some of the collecting. A line is tattooed onto the hand for each kill. I am now working for a company with an office in Kuala Lumpur so have been lucky to get out there on business. An amazing city, quite different to much of Asia in it's cleanliness and sophistication. 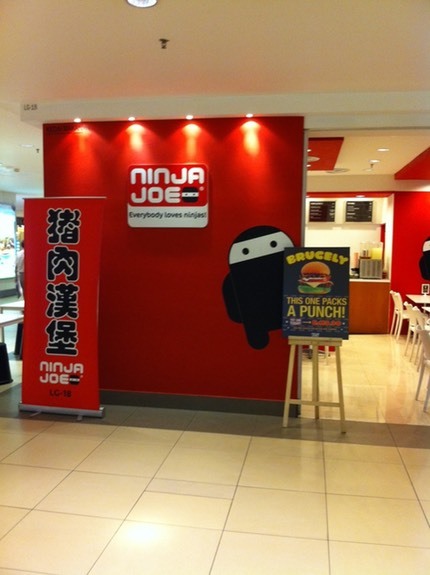 This is the fabulous Ninja Joe pork burger bar. Look at the spicy "Brucely" special they are advertising.